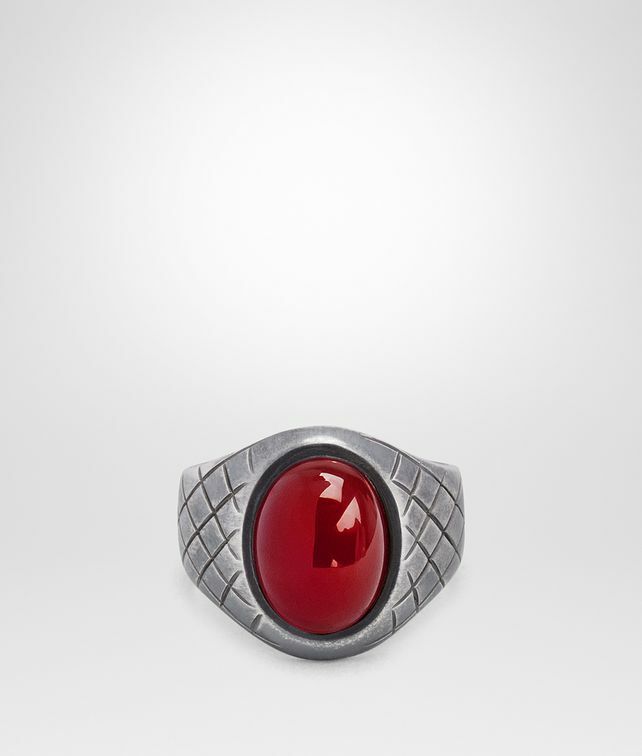 Featuring a timeless chevalier design, this oxidized silver ring is set with by a natural garnet stone. Iconic intrecciato engraving enriches the silver band. Oval size: 1.8 x 1.32 cm | 0.7 x 0.51"